Located along a row of old shophouses, COO Bistro is housed within the grounds of COO Boutique Hostel. It stands out from its immediate neighbors with its funky exterior and you simply can’t miss it! Step into COO Bistro and you are greeted with COOl funky images and nuggets of Tiong Bahru’s history. It does feel like a walk down memory lane, COO-ing over the familiar sights and reminiscing the yesteryears. Back to the present. In line with its ‘Glocal’ branding, COO Bistro does a new edgy interpretation of famous traditional fare that resonates in Tiong Bahru neighbourhood. 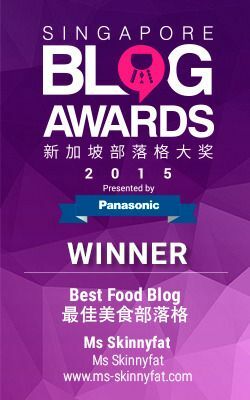 (‘Coz few people are willing to fork out twenty bucks on a typical plate of hokkien prawn mee or a fan of charcoal flamed satay.) You might think gimmicky, but I think not. COO Bistro hits the brief. 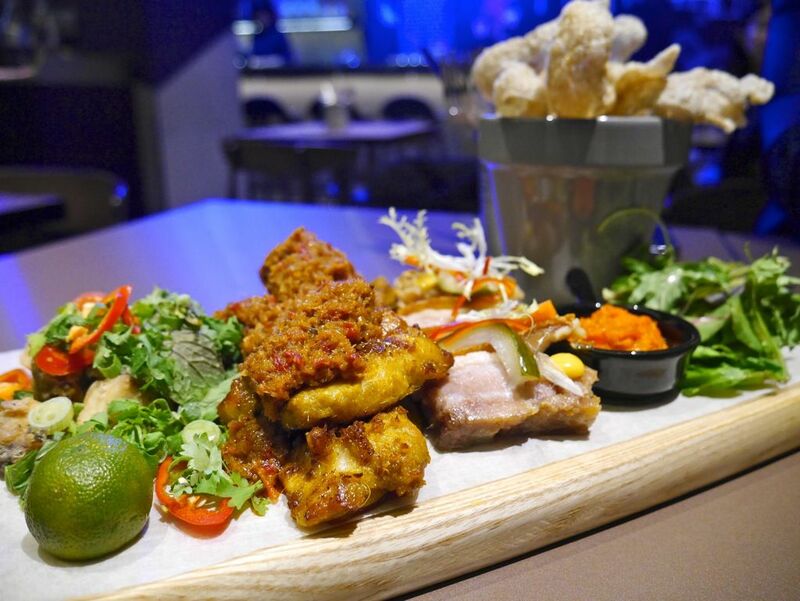 A trio of roasted pork belly, grilled chicken satay, salt and pepper fish, Tiong Bahru Platter ($28) is a board of familiar flavors. The tender roasted pork belly has the crackling skin; the salt and pepper barramundi reminds of the fried fish chunks in fish noodles; and the grilled chicken satay is a chunky interpretation of satay. The satay sauce sure got me hooked. COO’s Prawn Noodles ($18) may not be the soupy prawn noodles that you grew up eating, but it is equally flavorful. 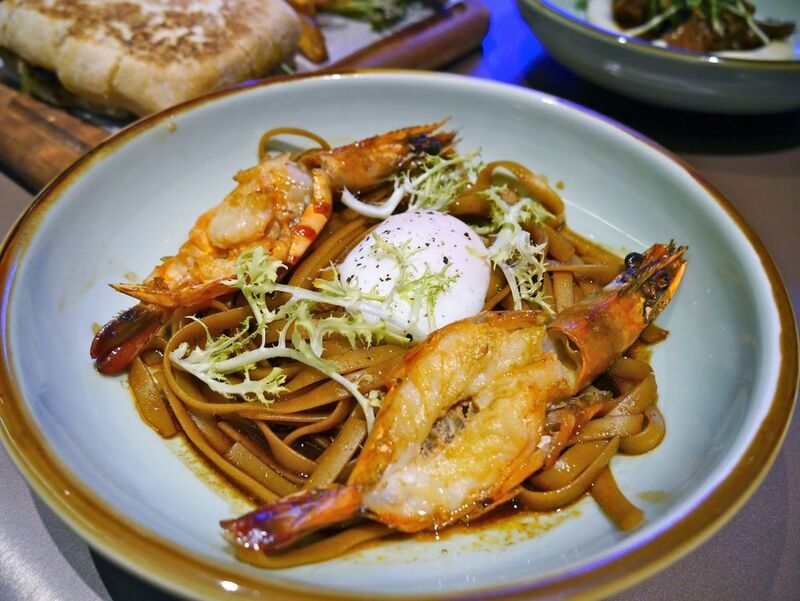 A slightly spicy dish of al dente fettuccine and juicy fresh tiger prawns, the spice lover in me approves. 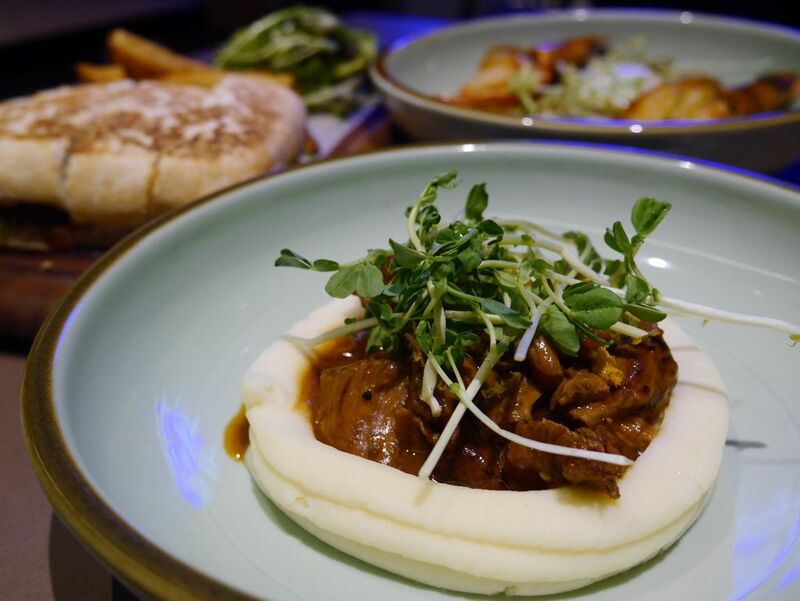 A dish for rainy days is Braised Lamb Shoulder ($32)—braised tender lamb shoulder in a ring of potato mousseline and blanketed with orange-lamb sauce. Do get a bit of everything on your fork for the warm and hearty buzz. If your staple is bread, COO’s Pressed Sandwich ($21) is a good option. Pressed between two fragrant carb slices are bresaola, beef hanger steak, pickles, onion chilli jam and gruyère cheese. The sandwich might look like a light snack, but this actually makes a hearty full meal. Grilled and burnt excites me. Dangerous? I don’t know. 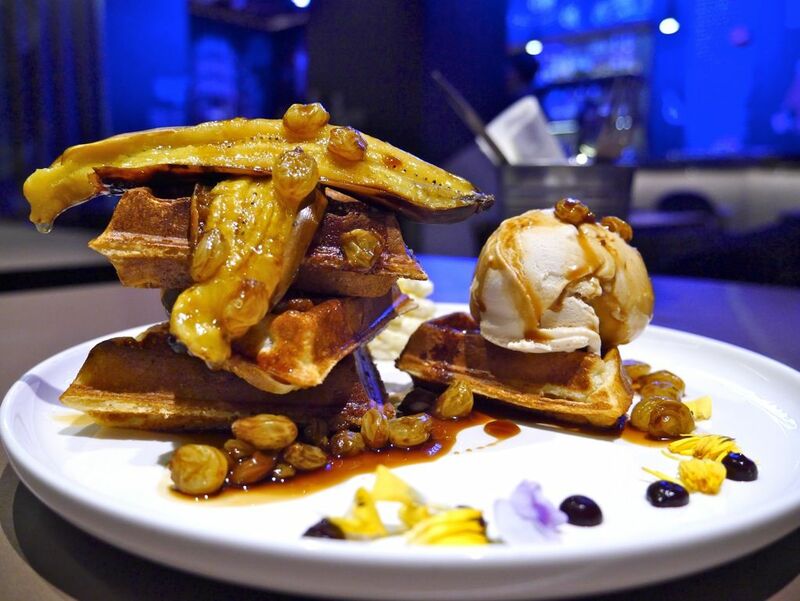 What I do know is that Grilled Burnt Banana Waffle ($13) is a waffle i don’t want to miss. The combination of alcoholic raisins, smooth peanut butter ice-cream and grilled pisang is euphoric. And while you are on a dessert high, add on the whip cream! 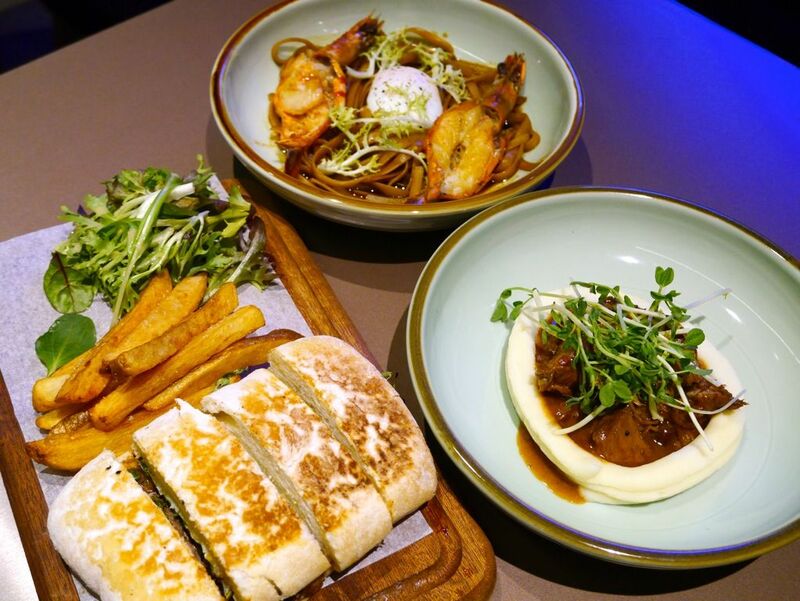 COO Bistro is COO-nvincing in its Tiong Bahru inspired menu. 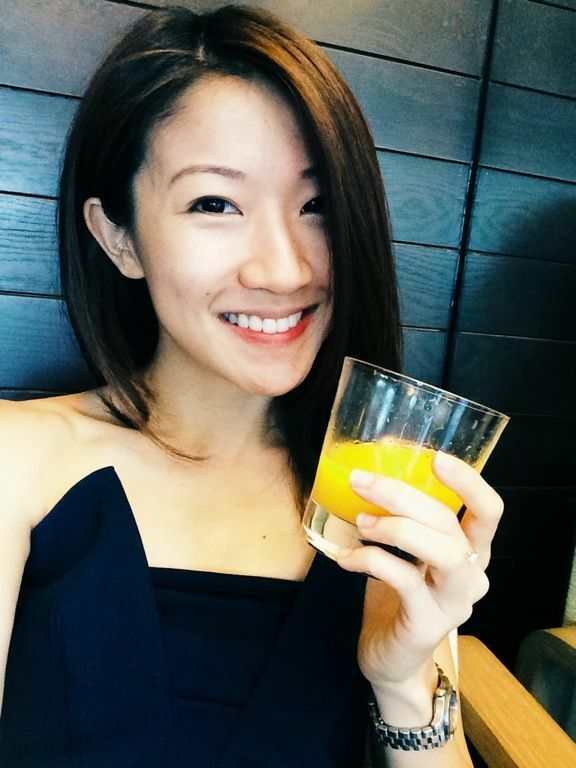 The birds at Tiong Bahru may be chirping, but this cafe and we soon have us all COO-ing!